Is this the Mani Cai plant? I pruned the branches down to its trunk twice, but each time, the branches grew back quickly. It took just four weeks for the plant to grow to this state. Also, are the leaves edible? The plant is not the Cekur Manis, or Mani Cai plant. The plant is probably the curry tree (Murraya koenigii). 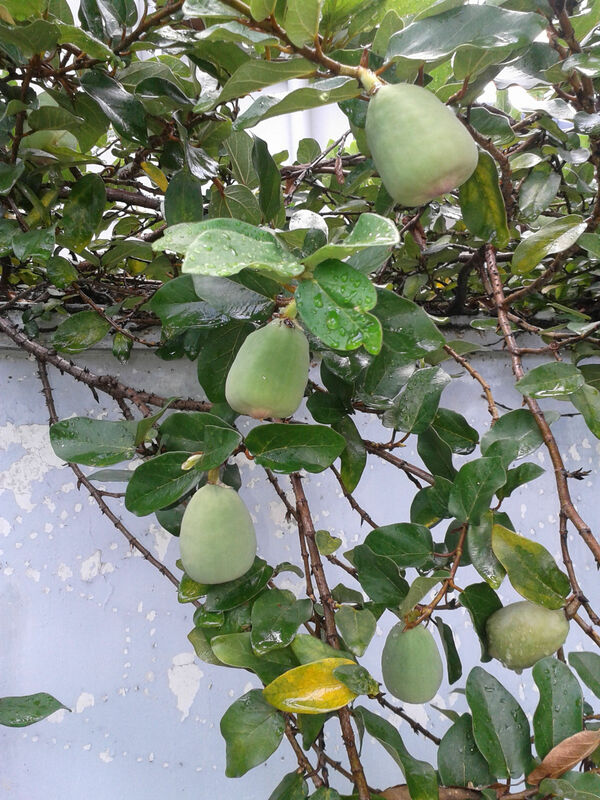 This plant can sometimes grow randomly as its fruits are eaten by birds and seeds are dispersed via their droppings. The plant could also possibly be Clausena excavata, which also has curry-scented leaves, but are not edible. It is difficult to tell both plants apart by looking at their leaves alone. Their leaf scents and shapes are very similar. Commonly known as blue lips, Sclerochiton harveyanus is relatively new to the local landscape scene. 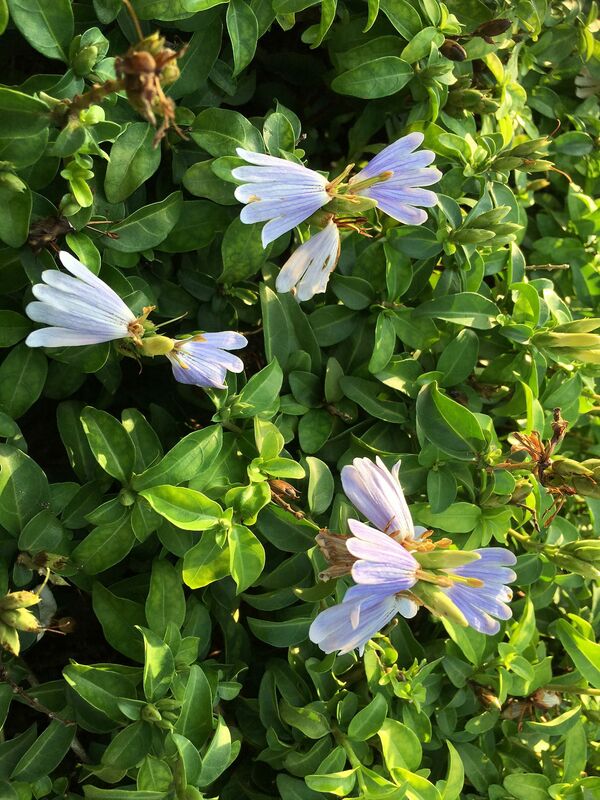 It produces light blue flowers - a rare floral colour in the tropics. The plant is best grown in full sun, although it can also tolerate light shade. It prefers moist, well- draining soil and can be propagated via stem-cuttings. When grown under optimal conditions, blue lips is a highly floriferous plant that rewards its grower with numerous blue blooms, making it a good choice for an English-themed garden. I saw this creeper on the walls of a private house. What is it? The picture shows the creeping or climbing fig. It is known botanically as Ficus pumila. It is usually grown to cover concrete walls and public infrastructure such as overhead bridges. The so-called fruits are known as synconia - structures that hold the plant's true flowers. They are light green when young and mature to a dark purplish shade. The plant is observed to start producing synconia if its stems have grown up to the edge of a wall and allowed to hang. The synconia are edible. What is this plant ? Are the green and red leaves edible? 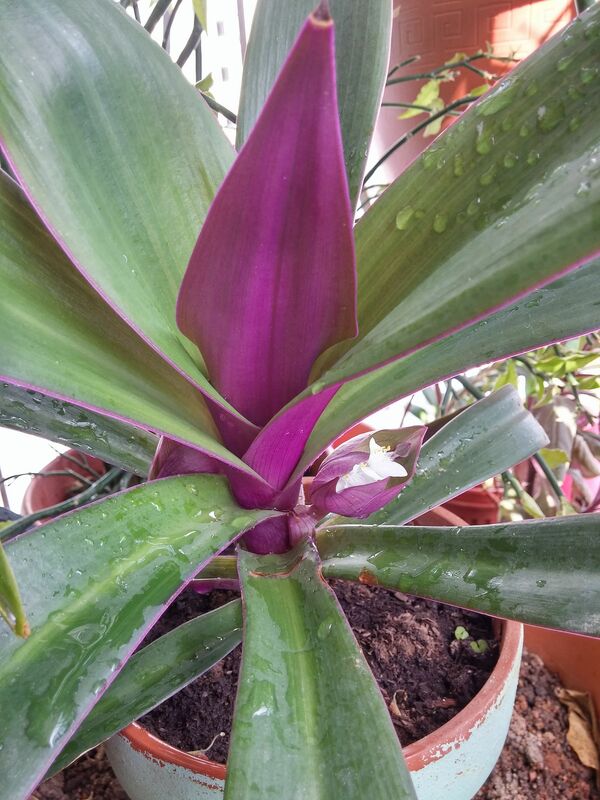 The plant is commonly known as the Moses-in-a-cradle, oyster plant or boat lily. Its botanical name is Tradescantia spathacea. Its leaves are commonly sold in Singapore wet market vegetable stalls and boiled to make a herbal drink which is said to reduce body heat. The sap from the leaves of this plant can irritate the skin, so handle them with care. The airwell in my house gets ample sunlight for much of the day. I am trying to construct a vertical garden in the airwell and include an irrigation system. What are the best plants to grow in such a vertical garden and how many plants should I put in for the garden to grow well? Do you have any tips on setting up a do-it-yourself irrigation system? 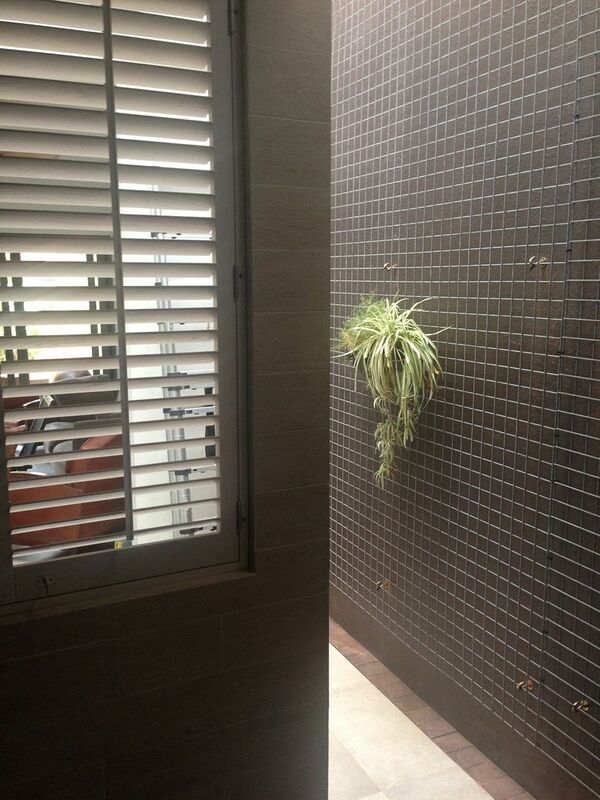 It is best to consult a specialist in vertical gardens as he would have the know-how to help. Depending on the amount of sunlight available, the range of suitable plants will vary. In general, airwells receive mostly bright light for a large part of the day. Direct sunlight is not available for very long hours as the sun is overhead only briefly. As such, it is best to make use of shade-tolerant foliage plants to clad your vertical garden. Common houseplants such as the heartleaf philodendron (Philodendron hederaceum) and money plant (Epipremnum aureum) are relatively cheap and easy to grow. In most vertical gardens, plants are grown closely for visual impact. Do note that such set-ups will require regular maintenance to ensure plant growth is in check and that they do not compete or overwhelm one another. • Answers by Dr Wilson Wong, a certified practising horticulturist and founder of Green Culture Singapore (www.greenculturesg.com). He is also an NParks-certified park manager.